Looking to fill up your iPhone or iPad with free apps? 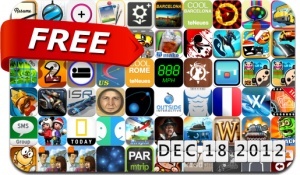 Great apps go free on a regular basis, just like these 69 apps. This apps gone free alert includes Piyo Blocks 2, Amateur Surgeon 2, Land-a Panda, Action Driver, Make Soda, King of Opera, Square Planet, Ninja Must Die, I Dig It, Virtual Families, Rat On A Snowboard, Frame Your Life Pro and many others.